This month sees HG Wells' 150th birthday (the man, not the pub) and for most of October, there have been events and activities marking the occasion in Worcester Park. Local community activist, Richard Johnson has been instrumental in organising some of these, including his trade mark kid's colouring competition. 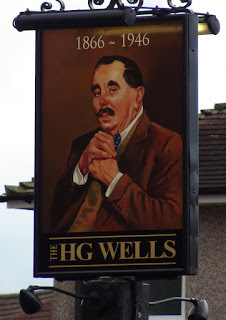 He also organised a collection of new HG Wells books and a display in the Library, having gained sponsorship from local traders. "Today is the culmination of all things Wellsian. 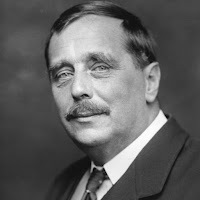 Professor Dominic Wells (great-grandson of H.G.) is due to arrive at WP Library about 11am. He will meet up with Mayor George Crawford of Cuddington Ward, in Epsom & Ewell, (where H.G. actually lived). And together with a volunteer from Diabetes UK (the charity co-founded by H.G. ), they will judge the art and colouring competitions. They will present the prizes to the award winners of ‘the Argonauts of the Air’ flying aeroplane competition about Noon and (if we can get hold of them at short notice) the winners of the other competitions too. 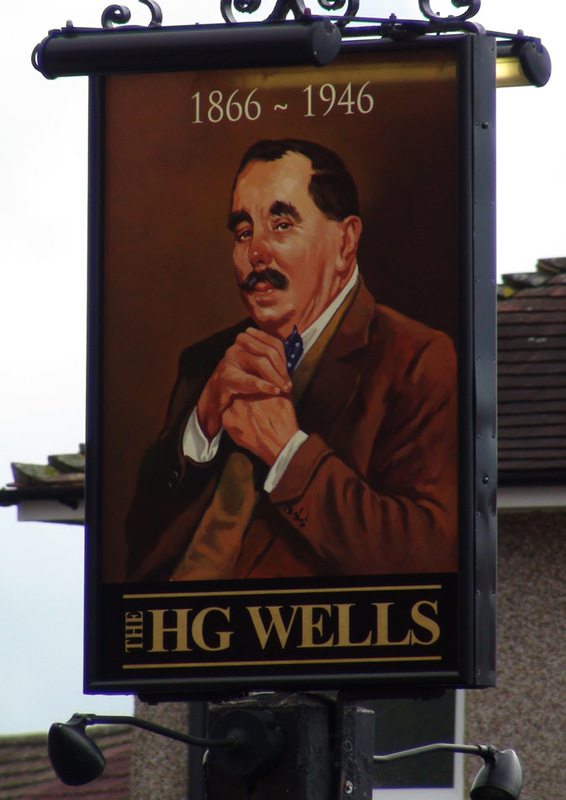 If you are passing, please come in and say hello… we can’t meet H.G. but we can meet his DNA!"